Muito tempo na frente do computador? Yoga para pescoço, ombros e pulsos! Para quem fica boa parte do dia na frente do computador, dirigindo ou está trabalhando com invertidas como a parada de mãos. Alongamento de Yoga saudável e rapidinho para o pescoço, ombros e pulsos. Respire, relaxe, foque no aqui e agora que o corpo e a mente agradecem. Boa prática e sinta-se renovado! Since flying home two weeks ago, my temporary life in Pune already feels distant–long ago, far away, a parallel world that words cannot quite describe. Once back, my mind switched to the here and now, the immediate stuff of life. Sooner than I probably realize, my memories of RIMYI and India will grow fuzzy, however vivid they once were. People will stop asking me about my trip; I’ll stop thinking about it. Time marches on. So, before I forget, here’s a two-part post on “what it’s like” at RIMYI, dedicated to other first-timers. I’ll post the second half next week, so feel free to ask any burning questions before then. What was your schedule at RIMYI? 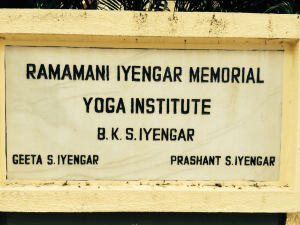 How many times does it take to do an Asana before mastery is gained? Early in my yoga practice, I was in my late 20s and fairly fit. I had picked up a copy of Light On Yoga and rushed toward the poses at the back of the book. Many disasters were had. 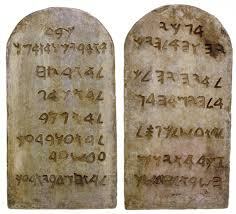 Because I was youthful and full of ego, I went full on to trying to master the book. Now it seems the more I do yoga, the more I go toward the front of the book to re-learn many principles that were glossed over 15 years ago. Then I realize those principles I had issues in the beginning have recurred tenfold into my later years of practice, very much like in fractal geometry where one simple pattern blows up into a chaotic and overwhelming shape. (Lotus Pose). This is one of the most commonly mentioned asanas as a meditative posture. Some of the other asanas that are commonly listed among meditative postures are Sukhasana (Easy Pose), Siddhasana (Adept Pose), Swastikasana and Vajrasana (Diamond Pose). These are the asanas in which you sit either for meditation or pranayama. In the Hatha Yoga Pradipika (HYP), Padmasana is one of the two meditative postures described, the other being Siddhasana. After explaining what Padmasana is, HYP (chapter 1, sutra 47) states, “This is called Padmasana, the destroyer of all diseases. Ordinary people cannot achieve this posture, only the few wise ones on earth can”. I find the statement rather intriguing as I don’t quite understand how or why wisdom has been tied to flexibility! The word padma or kamala (lotus) has been used as a symbol of beauty and charm in ancient Indian literature. Beautiful women, especially those with beautiful eyes are often compared to the beauty of a lotus flower. You can come across these common names of Indian women – Kamalakshi or Kamalanayani (both meaning “one with eyes as lovely as a lotus), Padmavati (beautiful as a lotus) and many similar names. 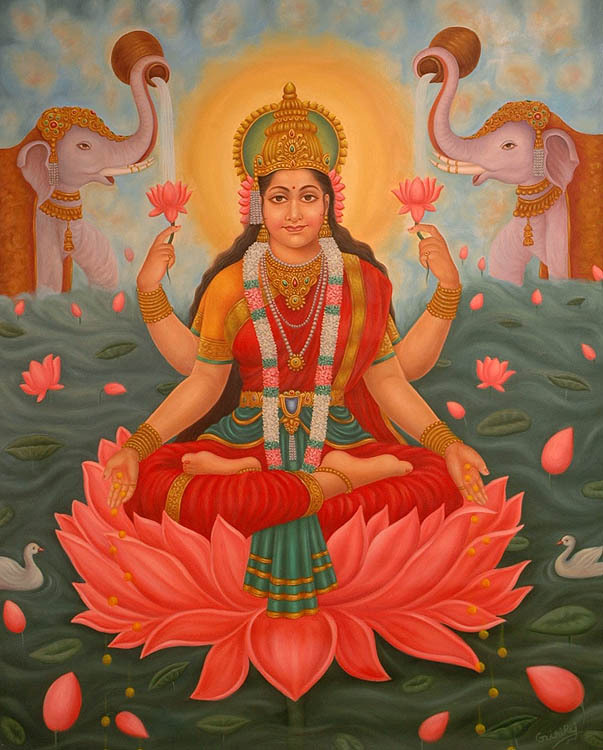 Many of the Indian gods and goddesses are depicted in pictures sitting on lotus flowers. Some of these pictures also show the gods/goddesses themselves sitting in Padamasana. 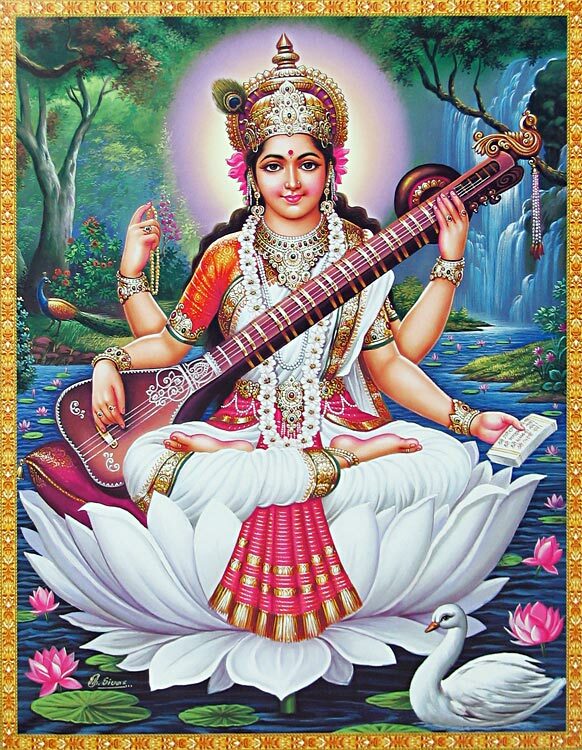 For example, in the pictures here are shown goddess Saraswati, the goddess of arts, literature, music and learning and goddess Lakshmi, the goddess of wealth and prosperity. 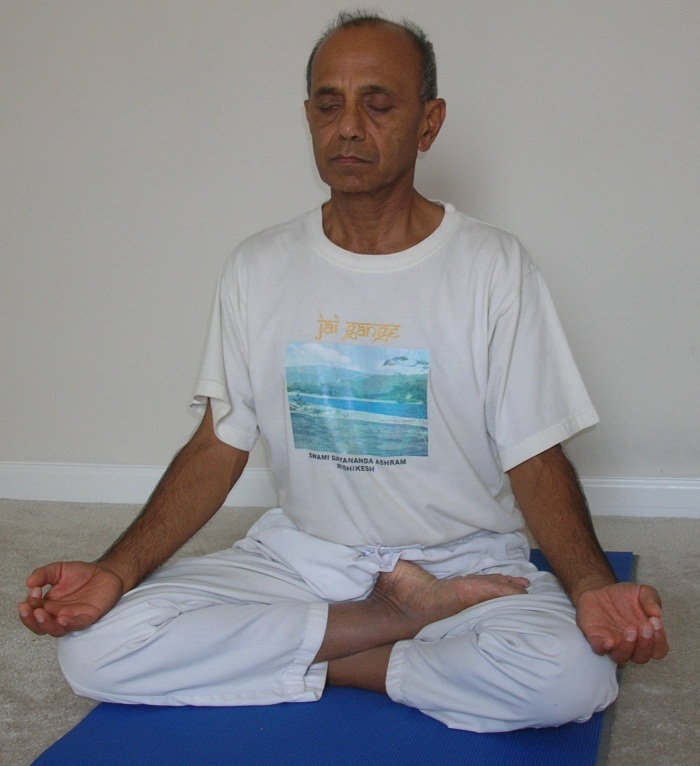 Padmasana, in general, for most people is a challenging pose. In the olden days, before the advent of chairs and tables, people used to sit on the floor for everything. As a result, there hips, knees and ankles were naturally fairly flexible. It was easier for them to develop the capability of sitting in the Lotus pose. These days, on the other hand, we are so used to sitting in chairs, that our hips and knees become very stiff over time. As a result, it takes extra effort to develop the required flexibility to sit in Padmasana. I am presenting below some of the asanas or stretches that can be done to open up the hips, knees and the ankles so we can start working on Padmasana. Sit on your mat with the legs stretched out in front and the spine tall and upright. Fold the right leg and place the top of the right foot on the left thigh. Try to pull the foot close to the crease of the thigh. Thread the fingers of the left hand through toes of the left foot and hold the right knee with the right hand. With the help of the right hand, start making circles at the right hip joint by gently pushing the knee forward, then down close to the floor, then pulling it backward and lifting it up, bringing the knee back to the original starting position. Continue in this manner for 5 to 6 rotations in one direction. Pause for a moment and then reverse the direction of hip rotation. Again do about 5 to 6 rotations in the other direction. After a small pause, push the right knee down with the right hand and lift it back up. Continue in this butterfly move for about 8-10 rounds. Try to keep the movement rhythmic, smooth and continuous. Now, switch over to the other side and repeat the same moves – hip rotations and half butterfly, with the other knee. In all the moves, make sure that there is no pain felt during or after the moves are completed. This pose stretches both the lower back and the inner thigh and hip areas. It also gives a good stretch to the knee joints. Join the soles of the feet together and pull the heels as close to the body (the pelvis) as comfortable. Join the hands together and interlock the fingers across the toes of the feet. 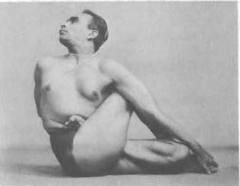 This is called Baddha-konasana (bound angle pose). Holding the toes, lean the body forward, keeping the spine elongated. With the arms, you may attempt to push the legs and the knees down toward the floor. Hold the position for 4-5 breaths and come back to the original position with the spine vertical. Keeping the spine upright and tall, begin to make gentle, rhythmic moves with the knees up and down. The objective is to try to bring the knees as close to the floor as possible without causing any pain. Repeat the butterfly moves for about 8-10 times. Pause for a couple of breaths and then repeat the same moves one more time 8-10 times. Fold the right leg and place the sole of the right foot on the inside of the left elbow. Wrap the right arm around the right knee and hold the left hand. Try to pull the foot and the right leg upwards and as close to the chest as possible. In this position, gently begin to rock the body side to side, as if rocking the cradle of an infant. Pause after 5-6 rotations. Repeat the above moves with the other leg also 5-6 times. Kapotasana is an excellent pose for developing flexibility in the hips and the knees. Please visit my earlier blog post on this asana where I have discussed the procedure in detail. Before getting into the full lotus, it is a good idea to attempt the half lotus for some time. Start in the cross-legged seated position. Lifting the right leg with the hands, position the right foot on top of the left thigh. Try to bring the heel in close to the groin area with the toes extending slightly beyond the right thigh, if comfortable. 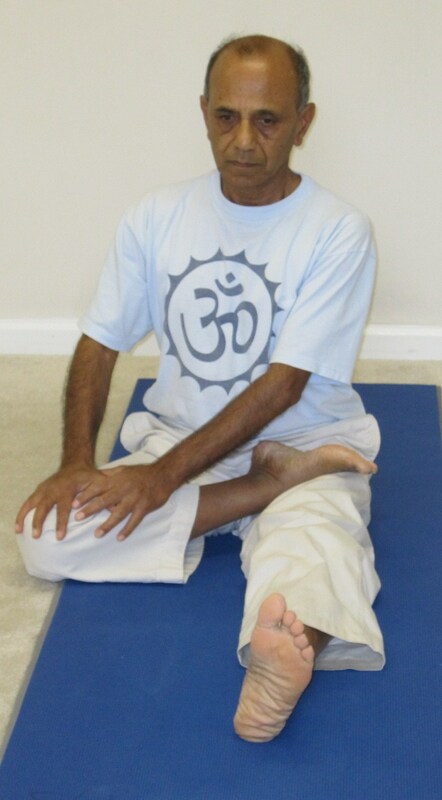 The left foot remains positioned under the right thigh, as in Sukhasana (comfortable pose). Allow both the knees to release closer to the floor. After staying in the pose for about 5-6 breaths, reverse the position of the feet and stay in the half lotus on the other side for 5-6 breaths. To practice the full lotus, with the left foot still on top of the right thigh, bring the right foot out from under the thigh and position it on top of the left thigh. In the final position, the effort is to bring both the knees down close to the floor. Try to keep the spine erect and vertical, if possible. Relax the hands in your lap, one palm resting on the other. Alternately you can place the hands on the knees in what is called the “chin-mudra”, with the index finger and the thumb touching and the palm facing up. Stay in the pose for 8-10 breaths and then switch the legs around and sit in Padmasana on the other side for 8-10 breaths. As in the practice of any asana, it is imperative that you don’t over-stretch any part of the body. 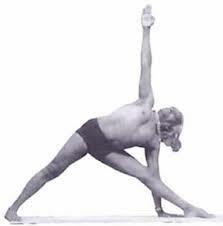 As mentioned above, this can be an intense pose for someone with tight hips, knees or ankles. By practicing the preparatory poses given above, try to build the capability to sit in Padmasana gradually. Over a period of time, you can build the capacity to sit in the pose for the entire duration of your pranayama/meditation practice. As per Hatha Yoga Pradipika, practicing Padmasana can relieve us from all ailments – physical, mental, emotional etc. The pose helps stabilize the body. It is a perfect pose for meditation as the spine naturally tends to stay erect in the pose. The pose helps develop calmness of the mind and reduce stress levels. Due to the restricted blood flow to the legs, there is additional blood available to tone the abdominal and pelvic area. Avoid the pose if you any kind of ankle, knee or hip injury. Practice the preparatory poses mentioned above regularly to develop the flexibility required for Padmasana. Like its inverted cousins such as Forearm Balance and Headstand, a major obstacle to Handstand is a natural fear of falling. So the basic pose will be described with the heels supported against a wall. Make sure that there are no hanging pictures or other decorations on the wall directly above you. If your armpits and groins are tight, your lower back may be deeply arched. To lengthen this area, draw your front ribs into your torso, reach your tailbone toward your heels, and slide your heels higher up the wall. Squeeze the outer legs together and roll the thighs in. Hang your head from a spot between your shoulder blades and gaze out into the center of the room. To start stay in the pose 10 to 15 seconds, breathing deeply. Gradually work your way up to 1 minute. When you come down, be sure not to sink onto the shoulders. Keep your shoulder blades lifted and broad, and take one foot down at a time, each time with an exhalation. Stand in Uttanasana for 30 seconds to 1 minute. We tend to kick up with the same leg all the time: be sure to alternate your kicking leg, one day right, next day left. If you are experienced with this pose, you can continue to practice it late into pregnancy. Dont, however, take up the practice of Adho Mukha Vrksasana after you become pregnant. One way to modify Handstand is to brace the crown of your head against a padded support placed on the floor between your hands. A supported head stabilizes your position and is a great confidence booster. But getting exactly the right height can be tricky: if the height is too low, your head wont be braced; if its too high, your neck will get scrunched. Use a yoga block for a base, then pile two or more folded blankets (or a bolster) on top. How high you build the support will depend on the height and the length of your arms. Experiment with different heights until you feel like you have the right one, then position your hands on the floor to either side of it. Walk in from Adho Mukha Svanasana until you can brace your crown on the support and the back of your head against the wall. Then follow the instructions above for moving into the pose. Lifting the head to look at the floor is an advanced movement. Be sure not to jam the base of your skull into the back of your neck. Imagine as you lift your head that someone is holding a softball against the nape of your neck. This will help maintain the cervical curve. Also, to lift your head, initiate the movement by pressing your shoulder blades more deeply into your back. Brace your crown against the wall. Then take one heel away from the wall and strongly extend it toward the ceiling. Bring that heel back to the wall and do the same with other. Finally try to take both heels off the wall and balance with only your crown against the wall. Many beginners find it difficult to keep their elbows straight in this pose. Buckle a strap and loop it over your upper arms, just above your elbows. Extend your arms straight out in front of you at shoulder width and adjust the strap so that it is snug against your outer arms. Then use the strap in the pose, but think of pushing the arms slightly in, away from the strap, rather than letting them bulge out into the strap. A partner can help you get a feel for the movement of the tailbone. Position her in front of you as youre in the pose. Have her wrap her arms around your pelvis, gripping one wrist in the opposite hand, and cradle the sacrum. Then she can pull the back of your pelvis up, lifting your tailbone toward your heels. You can vary this pose by placing your hands in different positions. For example, you can narrow your hands inside shoulder width, which decreases your base of support and so develops your sense of balance. Or you can turn your hands outward, which will teach you how to externally rotate the upper arms.